The site was updated! You can switch between both versions. Voting is disabled! be social - share it! 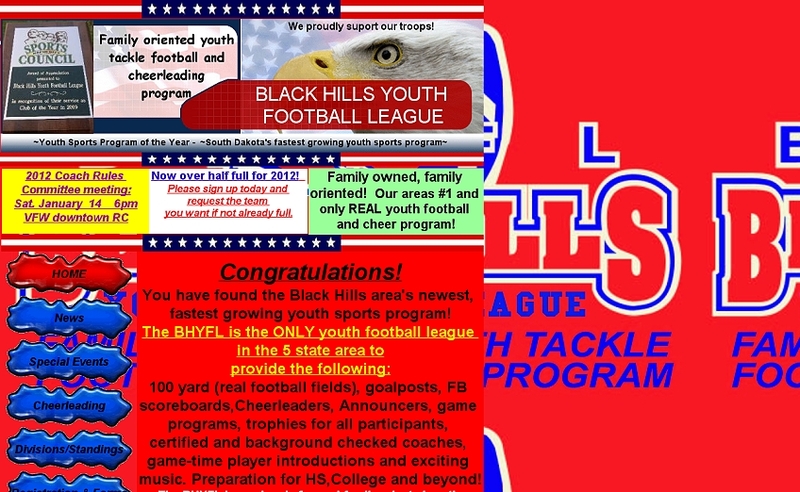 Western South Dakotas newest and premier youth sports program. Unique, Innovative, and above all...FAMILY ORIENTED youth Football and Cheerleading Program. Bringing back integrity and values to youth sports in the Rapid City and Black Hills area.